Through their online platform Reshape promotes research, design, and production of digital ideas, exploring implications and applications of technology and innovation. 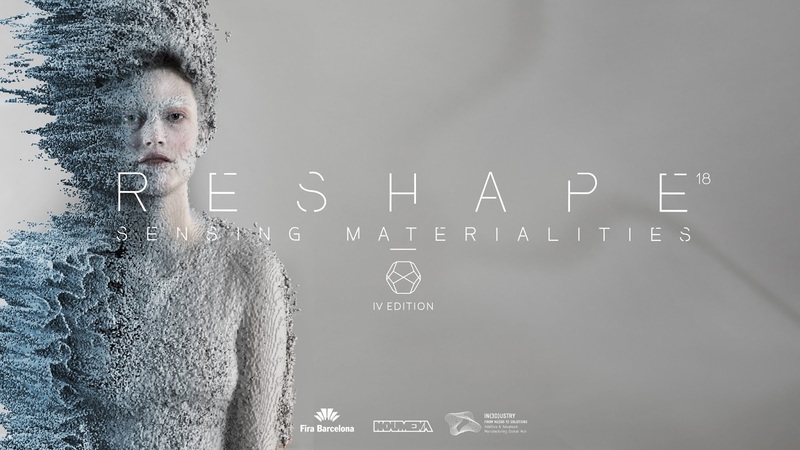 Reshape 18 | Sensing materialities is focused on customized garments or products, promoting healthy living for individuals in everyday life. Annually Reshape launches a competition organized by Noumena in collaboration with IN(3D)USTRY From Needs to Solutions and Fira Barcelona to foster the use and adoption of additive and advanced manufacturing on wearable and product design. This year's forum is October 16-18. Designers, makers, and artists are invited to submit their ideas and design proposals for the Reshape challenge.